Directed by Ron Howard. With Alden Ehrenreich, Woody Harrelson, Emilia Clarke, Donald Glover. 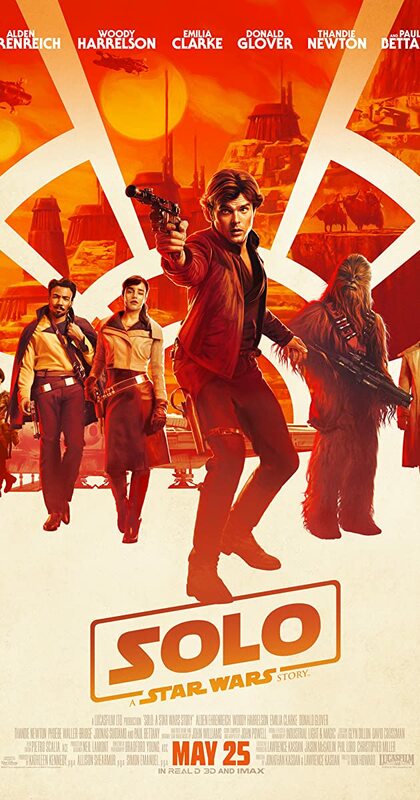 During an adventure into the criminal underworld, Han Solo meets his future co-pilot Chewbacca and encounters Lando Calrissian years before joining the Rebellion.